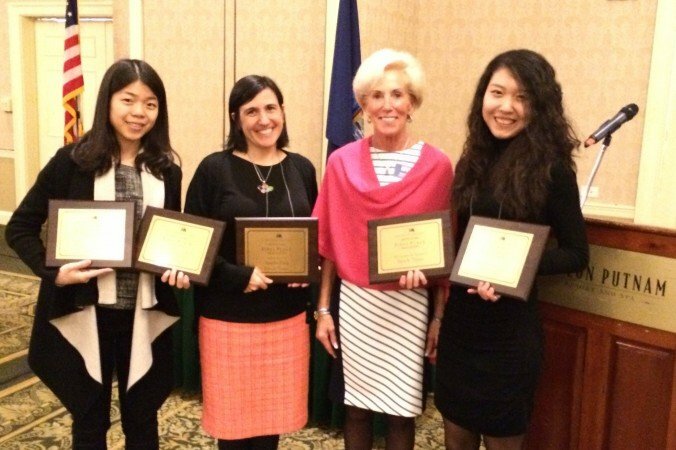 Epoch Times staff members received highest honors for their work in feature writing, photography, and design at the 2015 Better Newspaper Contest for the New York Press Association (NYPA). The NYPA, founded in 1893, holds the annual competition to recognize the best work in the industry across the state of New York. 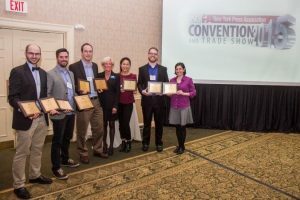 Overall, 177 publications submitted 2,836 entries to this year’s contest—the winners were awarded at the annual convention, April 8-9 in Saratoga Springs, New York. Manhattan-based Epoch Times made it into the winner’s circle—honoring the top five newspapers in New York—in two of the three overall categories: total contest points, and total advertising contest points, taking fourth place in each. The nine awards that contributed to the paper’s high overall placement include firsts for overall design excellence, photographic excellence, best feature story, and best advertising campaign; second place finishes in best advertising campaign, best front page, and coverage of the arts; a third prize in coverage of agriculture, and an honorable mention for best news or feature series. For the third year running, Epoch Times Creative Department won the most prestigious honor in the design category—the Richard L. Stein Award for Overall Design Excellence. “You made your broadsheet into a specialty magazine, love the look,” the judges wrote. Creative Director Rob Counts said it’s humbling to win the honor again. “For us design is all about storytelling. It’s never about simply placing a photo on an article and going to press. We put heart into every article that goes into our paper,” Counts said. 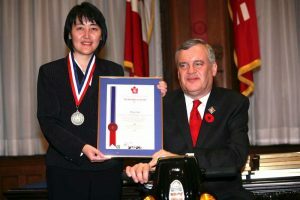 Counts himself won first place for Best Advertising Campaign for his work on Uncle Ted’s Modern Chinese Cuisine; and Senior Designer Luba Pishchik took second in the same category for her campaign for Duet restaurant. Epoch Times also repeated its first place finish from 2013 for Photographic Excellence. “We have really been pushing ourselves to strive for the best when it comes to images,” said Photo Editor Benjamin Chasteen after hearing his team won the award. “Photos are always the first thing people see when they open the paper and we want to make sure that visually they have a strong impact while capturing the essence of the story. So winning this award tells me that our hard work and efforts are paying off and that people are noticing our talents,” Chasteen said. “The Epoch Times is the clear winner of this category. … We appreciate the presences of photojournalism, not just photos. Excellent job!” the judges commented. For editorial coverage, for the second year running, Epoch Times took home the top prize for best feature story. 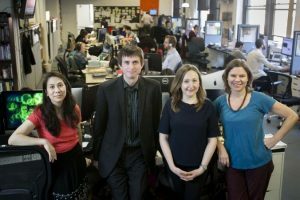 “We are very proud of the awards given to our reporters. In ‘One Taxi Driver’s Fight to Save His Medallion and His Family’s Future,’ Amelia Pang explores an important public policy issue by memorably showing how it affects one man and his family,” said Publisher and Editor-in-Chief Stephen Gregory. The article can be read here. Epoch Times’ new Orange County edition, which only launched in May 2015, took home two awards in its first year at the competition. “Yvonne Marcotte’s second place award for reporting on the arts and third place for reporting on agriculture shows how our new Orange County Epoch Times is already doing an excellent job in serving its community,” said Gregory. In addition, reporter Milene Fernandez received an honorable mention for Best News or Feature Series for her contributions to Epoch Times longstanding special feature, This Is New York—a series that delves into the lives of inspiring individuals in New York City.